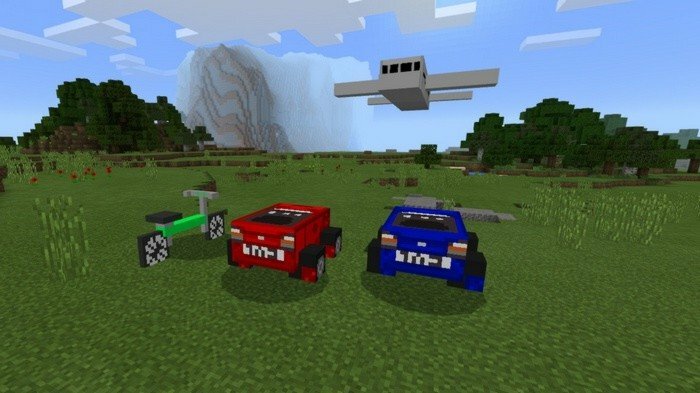 This mod adds two cars of the same type, but different colours and a pair of other vehicles. 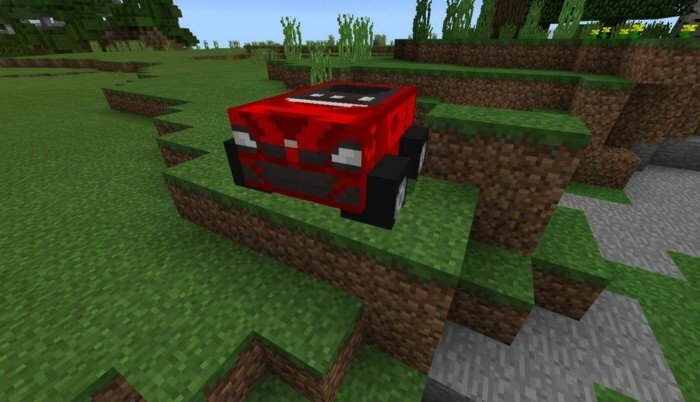 In fact, this new cars is just pig and cow with changed textures, but it still looks nice. To ride the cars you will need to come close and tap on "Ride" - use carrot on a stick to steer. Ghasts will transform into planes, which you can't ride but would look authentic in the sky. 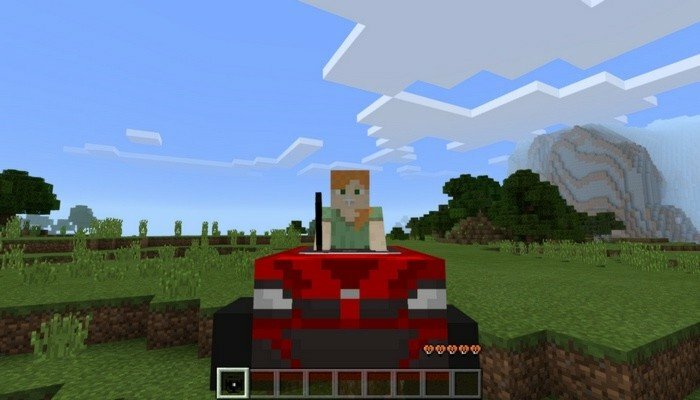 Creepers will become bicycles, which is good too because they won't blow up again. Its funny how cars move their rear wheels, just like normal legs.